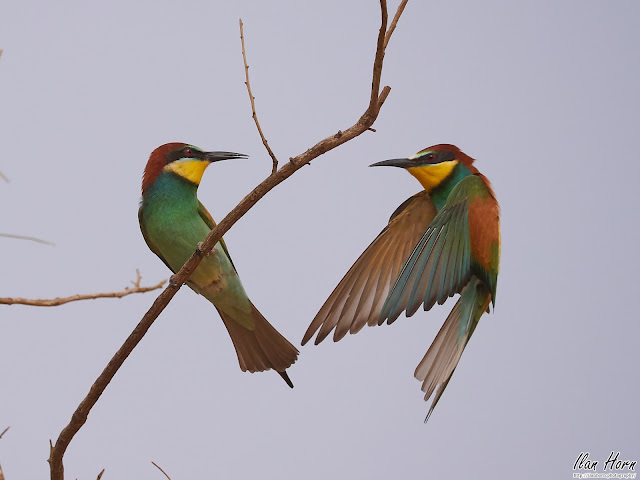 A could of European Bee-Eaters, having a face-to-face discussion while one of them is still in the air. 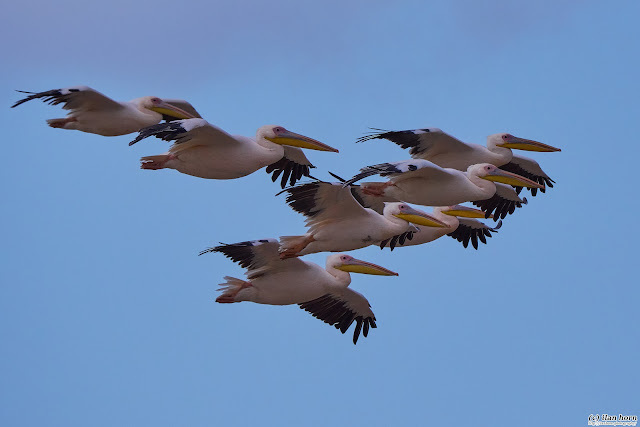 These beautiful birds arrive in Israel every spring, stay through the summer working on the next generation, then fly off in the autumn. They mate for life, and re-use the same nest every year. What do I like about this photo? The incredible pose, with the eye contact between the two beauties. Their colors are wonderful, and the background is reasonably clean, with not much distracting from them. 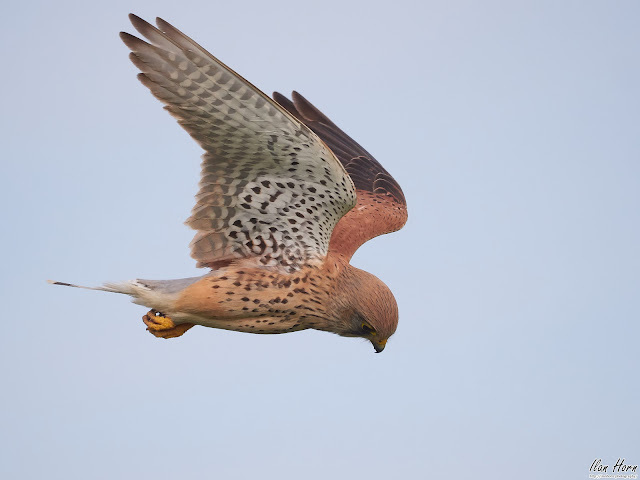 I used a fast shutter speed (1/2500 of a second) to freeze the action, so they're both sharp despite the rapid wing movement of the right bird. What would I want to improve? Not a whole lot, actually. Maybe get rid of the branch on the left (not the one the left Bee-Eater is standing on).